On August 1, 2013, Rep. Joe Courtney introduced a bill in the House of Representatives which seeks to require the Secretary of the Treasury to mint and issued coins in commemoration of the United States Coast Guard. Surcharges raised from the sale of coins would help to finance the National Coast Guard Museum to be located in New London, Connecticut. The United States Coast Guard was founded on August 4, 1790 as the Revenue Cutter Service. The Coast Guard was created on January 28, 1915 by merging the Revenue Cutter Service and the United States Lifesaving Service. 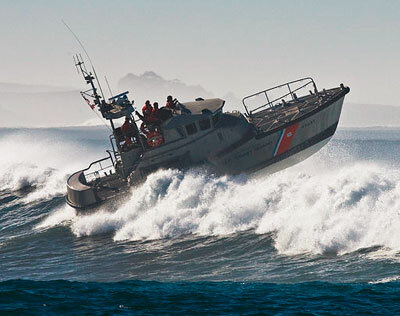 On February 25, 2003, the Coast Guard became part of the Department of Homeland Security. The Coast Guard is the smallest of the uniformed services, with an estimated 42,300 men and women on active duty. The bill H.R. 2932 seeks to authorize the minting and issuance of up to 100,000 $5 gold coins, up to 500,000 silver dollars,and up to 750,000 clad composition half dollars, which will carry designs emblematic of the traditions, history, and heritage of the United States Coast Guard and its role in securing the nation since 1790. The legislation further specifies that the coins shall contain motifs that specifically honor specifically honor the American Coast Guardsman of both today and yesterday, in wartime and in peace, with such designs to be consistent with the traditions and heritage of the United States Coast Guard, the mission and goals of the National Coast Guard Museum, and the missions and goals of the National Coast Guard Museum Foundation. The coins would be issued in both uncirculated and proof qualities during the 1-year period beginning on January 1, 2017. The sales price of the coins would be equal to the sum of the face value of the coins, the specified surcharge, and the cost of designing and issuing the coins. Surcharges are indicated as $35 for each gold coin, $10 for each silver dollar, and $5 for each half dollar. The bill specifies that the surcharges shall be distributed to the National Coast Guard Museum Foundation to help finance its design, construction, operations, and maintenance. The bill currently has 26 cosponsors and has been referred to the House Committee on Financial Services. In order to become law, it must be approved by the House of Representatives and Senate, then signed by the President.